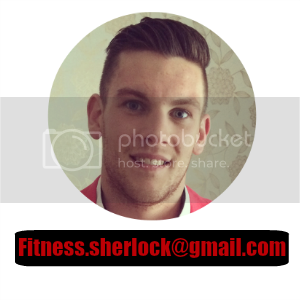 Sherlock Fitness: Are you getting fitter but not slimmer? People who have been going to the same gym as me, 3 times a week for well over 12 months yet still look pretty much exactly the same. This, despite them lifting twice the weight they used to, and cycling to and from the gym. These people are fantastic exercisers. They are, more than likely, following a strict 12 week strength training programme which will then lead into another 12 week programme for power. This is all well and good if you don't want to change your bodyshape, but often these people don't understand what is going wrong and how they can change. These people generally believe they are in good shape- and often they are, in comparison to those in their friendship groups. It isn't until they are stretched and taken out of their comfort zone that they realise they have a lot of work to do. I admit it, I thought I was in good shape and, compared to the average Joe, I was. Where are these people going wrong I hear you cry? Well if you haven't figured it out by now, you are definitely in the right place. Yes, that's right these people are fantastic exercisers but terrible dieters! One of the first things you can do is cut out CRAP foods!! How do I do that I hear you ask? Well here are 10 rules to follow to make your diet a healthy one! 1. Minimise foods you would buy from the bakery section of a store (refined carbohydrates), such as cakes, biscuits and white bread. 2. Limit your intake of sugar (sweets, desserts and the two scoops in your coffee!). 3. If it's green it'll keep you lean! Eat more dark leafy greens such as broccoli and spinach. Root vegetables are also good for you, try sweet potatoes! 4. Eat more whole grain foods, beans and lentils (oats, corn rice etc). 5. Drink 1-2 litres of water a day, including a large glass as soon as you wake up. 6. Eat 3 pieces of fruit a day. 7. Avoid fried food and hydrogenated fats. 8. Try to minimise processed meat and food with additives and preservatives. 9. Avoid caffeine after 5pm. 10. Avoid cigarettes and limit alcohol intake to one drink per day. Try making one change at a time until you are following these rules and are happy at where you need to be. Slow small changes work best, you will thank me for this advice one day! Fitness is a lifestyle, a marathon rather than a sprint. If you go at it too hard you will not finish the race, I'm fact you won't even see the finish line.